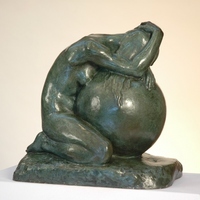 Mother Crying Over the World, a sculpture created by Albin Polasek in 1942. Polasek was born in 1879 in Frenštát pod Radhoštěm, Moravia (now part of the Czech Republic). He apprenticed as a woodcarver in Vienna, Austria, and immigrated to the United States in 1901. After working in the Midwest for nearly four years, Polasek finally began his formal training at the Pennsylvania Academy of Fine Arts in Philadelphia, Pennsylvania. 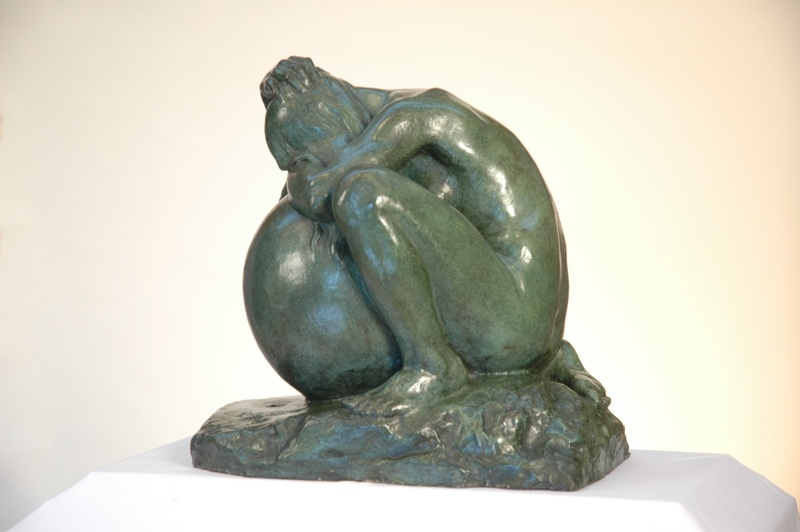 In 1910, Polasek won the Prix de Rome competition, spending three years at the American Academy of Art in Rome, Italy. Once he completed his studies in Rome, Polasek moved to New York City, New York, and set up a studio there. In 1916, the Art Institute of Chicago invited him to head its sculpture department, where he remained for nearly 30 years. 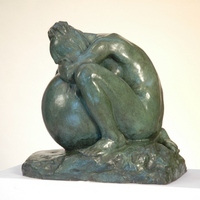 Digital reproduction of original sculpture: Polasek, Albin. Mother Crying Over the World, 1942. 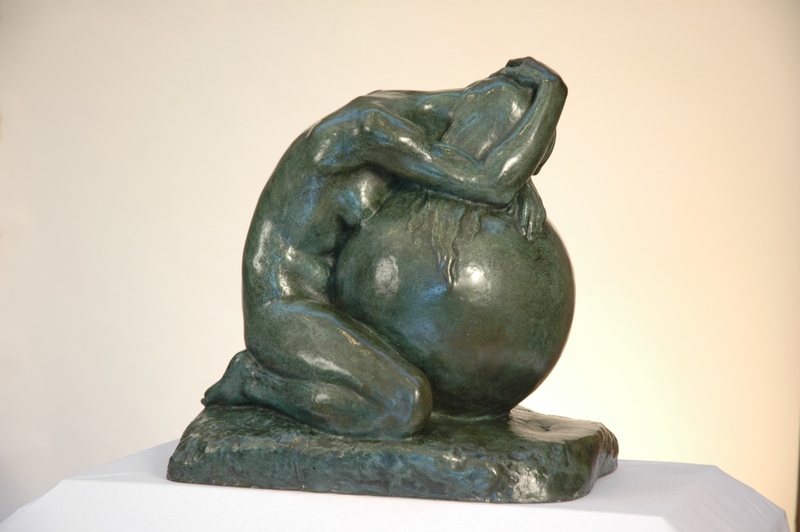 “Mother Crying Over the World by Albin Polasek.” RICHES of Central Florida accessed April 22, 2019, https://richesmi.cah.ucf.edu/omeka/items/show/5516.